In celebration of my birth month I thought it would be fun to have a post of birthday freebies. Birthdays are so much fun and getting freebies just makes the day better!! AMF Bowling eClub – you will get $20 off your next visit ($5 off per person, up to four people) for FREE just for signing up. You will get FREE Bowling for your Birthday! Kmart – FREE $5 to spend – Plus sign up for Shop Your Way Rewards and you will get FREE Shipping! We would love to know which birthday freebies are your favorite. Thanks MidgetMomma for this awesome list of birthday freebies. 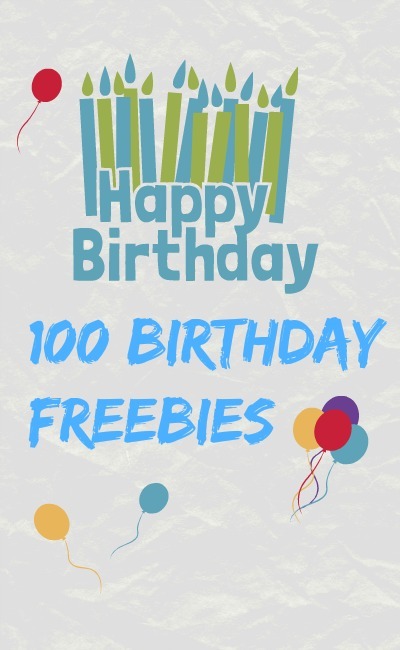 Wow – what a large list of birthday freebies! I didn’t realize there were so many available for your birthday and I used to hunt for freebies all the time. LOL. I’m bookmarking this list for next year!